The use of window privacy film is becoming a popular option for office managers who are dealing with open concept spaces, glass where there used to be walls, and see-through doors that draw prying eyes. Case in point is EFG Companies at 122 West Carpenter Freeway in Irving, Texas. In the business of administrating financial services products for the automotive industry, professionals routinely work with sensitive information. Because the company is growing, it hired more staff and expanded its office space to the fourth floor of the building. Floor to ceiling glass panes mark the entrance to this office location. But the fourth floor is busy, and plenty of folks walk past the doors and look inside, which distracted staff members. To allow employees more privacy and boost productivity, the company’s management team contacted our signage experts for assistance. We visited the location and designed panels of frosted vinyl that take up the middle third of the glass. To enhance the visual chic of the presentation, we reverse-cut the logo and corporate name out of the right-hand panel. This presentation results in a sharp look that brands the business, shows off its marketing message, and does not create a closed off feeling for those on the inside. At the same time, it minimizes distractions from passersby. cheapest place to buy clomid can you buy prednisone over the counter for dogs Beautification. Although plenty of glass is now the hallmark of the contemporary office, this much see-through material creates visual ambiguity. You see bits and pieces of staff members’ offices, conference room furnishings, and similar objects. In short, the open office suddenly looks cluttered even though it really is not. The remedy is frosted vinyl that we can design in a broad range of shapes and patterns. Case in point is a frosted panel that takes up a third of a window and features progressively larger stripes that we cut out. Privacy enhancement. Those working in the human resources, supervisory, and financing fields will have sensitive data on their computers displaying occasionally. Money may be on a desk. Files with staff members’ names may also be visible. 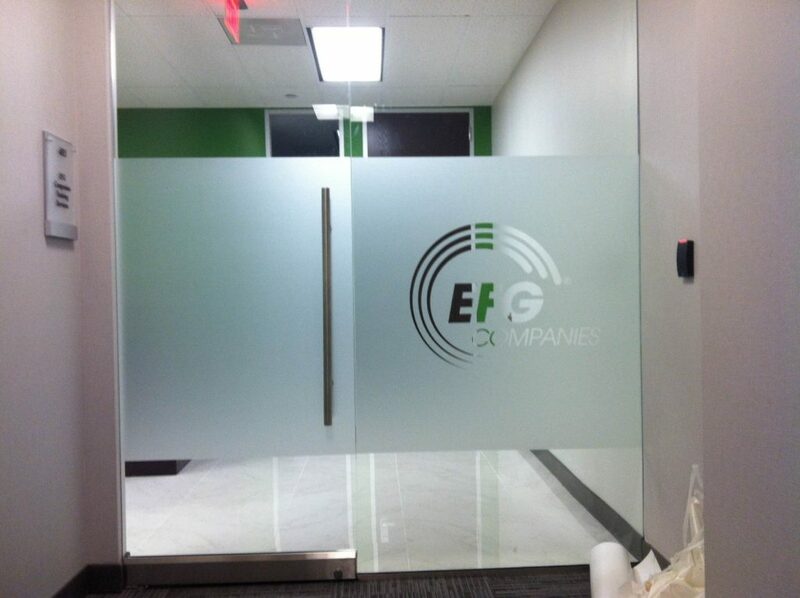 Protect the privacy of workers and information with customized frosted vinyl. Keep it plain or have us reverse-cut the corporate logo out of the shapes you choose. Marketing and branding. For doors and windows that face the outside and passersby, we recommend the use of the material not just for privacy but also for branding purposes. Banks and similar businesses know that the illusion of a frosted glass panel with etched logos and company names presents an air of professionalism that consumers expect from these types of institutions. Do likewise by using your outside-facing windows for marketing and branding purposes. When you are ready to beautify your office space, boost privacy, and brand the company in the process, you cannot go wrong with privacy film for windows. Invite our experts to come over for a site survey and to take measurements. We sketch possible designs that will achieve these goals and more. Call us today to get the project started!